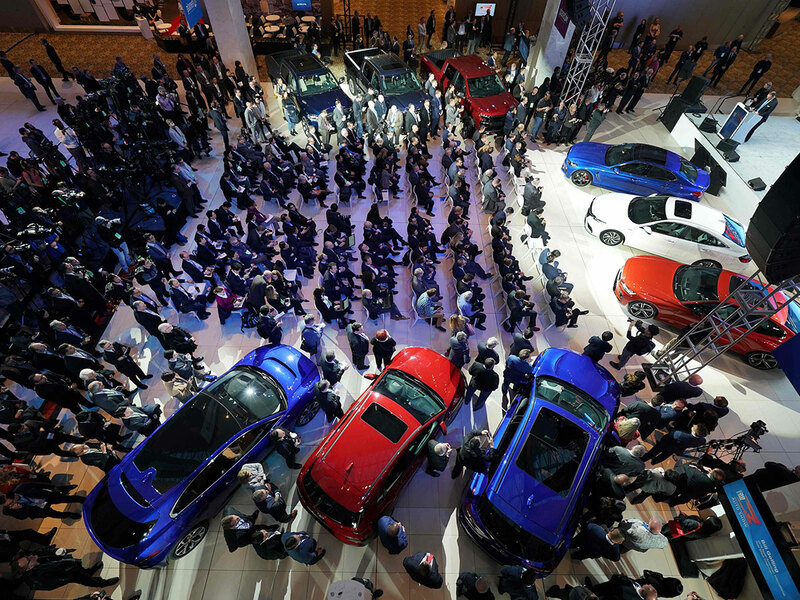 DETROIT: SUVs, trucks and sports cars were set to take centre stage on Monday as a subdued Detroit auto show kicked off with fewer carmakers and more uncertainty. With compact cars and sedans an ever-shrinking portion of the North American market, auto makers have all but abandoned them, as evidenced by what they chose to emphasise in Detroit. Trucks, SUVs and high-performance vehicles dominated the new debuts scheduled for the US’s premier auto show. The exception was Volkswagen, which was to unveil a new Passat sedan. “Car companies are acknowledging that the crossover, sport utility vehicle boom is continuing,” said analyst Michelle Krebs of Autotrader. For those looking for an alternative, carmakers were emphasising sporty cars with nostalgic pasts. Ford’s redesigned Explorer SUV, debuted in Detroit on Friday, is on public display for the first time, with a high-powered version of the Mustang sports car called the Shelby GT500 also to be unveiled. Toyota was also scheduled to show off a new Supra — a refresh of a beloved sports car the firm stopped producing more than 16 years ago. Meanwhile, Fiat Chrysler was to unveil redesigns of its larger versions of the popular Ram truck. Aside from VW, German carmakers abandoned the Detroit show this year, amid competition from events in New York, Miami and Las Vegas where increasingly tech-centred car announcements were presented. At the Detroit show, the hope was that larger and more profitable vehicles would help the industry weather any economic storms. Analysts predicted slowing sales in 2019, following a decade of growth. “The market itself is adjusting to a slightly smaller volume but they happen to be more expensive, higher quality vehicles,” he said. Small cars and conventional sedans accounted for less than a third of last year’s new car purchases — down four per cent from 2017.